Belgium - a small pleasant European country with a mild climate, which is characterized by the amazing monuments of medieval architecture that giving it a romanticism and even some fabulousness. High living standards and the country's stable political and economic environment are pleasantly complete the picture. Properties in Belgium are qualitative, but cheaper than in neighboring countries and there are no special restrictions in the country's legislation for foreign buyers. It is allowed to acquire ownership on residential and commercial property or even on land for a development. The only pitfall: in the construction of a new house on your own land, you must obtain permission from the authorities and to take into account minor limitations in the design of the building. Where to buy properties in Belgium? Real estate offers in the country varied - some investors prefer to buy detached houses from the owners or a modest country house in the suburbs, but you can purchase a real castle, fully furnished with a modern twist. For an active urban life you should target the capital of the country - in addition to the prestige and prospects, Brussels itself has an extraordinary beauty. Construction is qualitatively and diverse – there are a lot of affordable flats in multi-storey residential complexes of the secondary housing, or luxury apartments in low-rise buildings - it all depends on the buyer's possibilities. At the heart of the prestigious Brussels are situated very beautiful in its architecture spacious villas, built in the early twentieth century, with a wine cellar, garage for several cars and a garden. Among the current cities of the country, you can also highlight the Antwerp and Ghent, in which the rental property is as favorable as those in the capital. 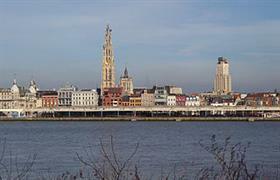 In Belgium, it makes sense to acquire both commercial and residential property. Among the relevant commercial options - restaurants, cafes, offices, hotels and warehouses. Lodging also can be used as a retail property. In Belgium have a lot of tourists renting housing on its territory, including students and businessmen in the big cities. Is there a cheap real estate in Belgium? Belgian real estate as a whole can hardly be called cheap, but it is certainly more affordable than housing in the neighboring France. In provincial regions have very cheap offers, but as usual - the closer to the capital, the more expensive housing. The real estate market in the country is stable and is projected to maintain its stability in the future, so the local property is promising for investment.